Based on reports from the Ministry of Transportation of Air Asia plane Chronology loss QZ8501 explained during a press conference in Region II Airport Authority office at Soekarno-Hatta Airport on Sunday, December 28th, 2014. At 5:36 pm plane takes off and depart from Surabaya to Singapore with a height of 32,000 feet sekitae. The plane reportedly still at The usual path between Surabaya and Singapore. Last contact with Air Traffic Control (ATC) Jakarta occurred at 6:12 pm, in the contacts pilot requested permission to divert the plane to the left and climb to an altitude of 38,000 feet. The request was approved by the ATC. Rising to a height of 38,000 feet plane because there are problems on the weather which is characterized by thick black clouds and very dangerous for aircraft if passed. At about 6:16 pm The Air Asia QZ8501 still within reach and visible to radar screen and there is not anything suspicious. Through one minute precisely at 6:17 pm, The Air Asia QZ8501 just leaving only the signal trace on ATC radar alone. Finally, at 6:18 pm stated that Air Asia QZ8501 plane disappeared from radar. Characterized by the loss of radar signals only on the data plan that is supposed to fly in the radar there is other data that is the realization of flying, but the data is lost. Aircraft stated that early stage INCERFA lost contact, which occurred at 7:08 pm, then the director general of a direct nexus to contact Basarnas. 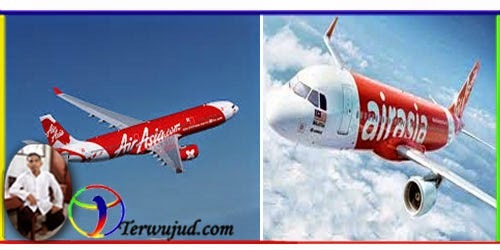 20 minutes later finally Aircraft Air Asia QZ8501 expressed ALERFA the stage that the plane lost contact. The Air Asia QZ8501 declared lost contact completely precisely at 7:55 pm with DETRESFA status. Until today (29/12/2014/Monday) TEAM Basarnas still searching Aircraft Loss of Air Asia QZ8501, besides several other countries such as Malaysia, Singapore, Australia also offers assistance to conduct a search.